2013.040.2 Crawford Tram Co. of Nelson, B.C. 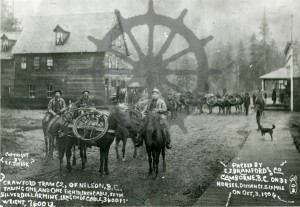 taking one and one-eighth inch cable to the Silver Dollar Mine. Length of Cable 3600 ft. Weight of Cable 7600 lb.